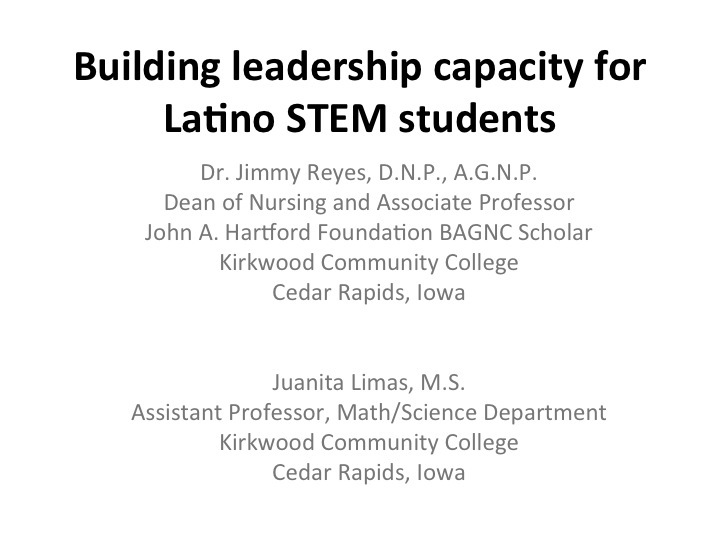 This post is an adaptation of slides from a keynote presentation for the 27th Annual Conference of the Hispanic Association of Colleges and Universities given by Dr. Jimmy Reyes, Dean of Nursing, and Juanita Limas, Assistant Professor in the Math/Science Department. 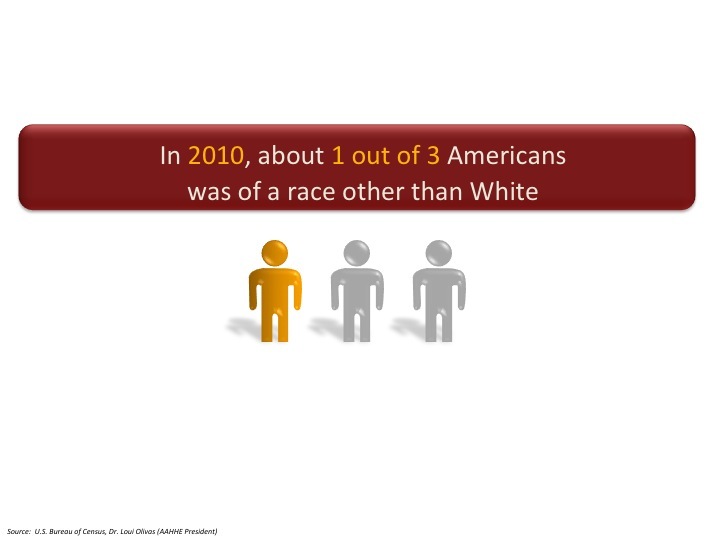 How are we addressing this at the community college level? Why think about these students? 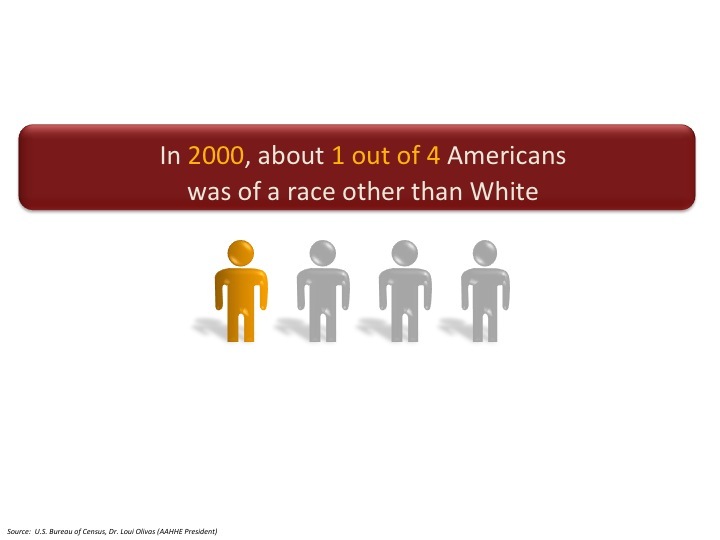 What is important to remember is that the demographic population in the US is a huge factor to consider. 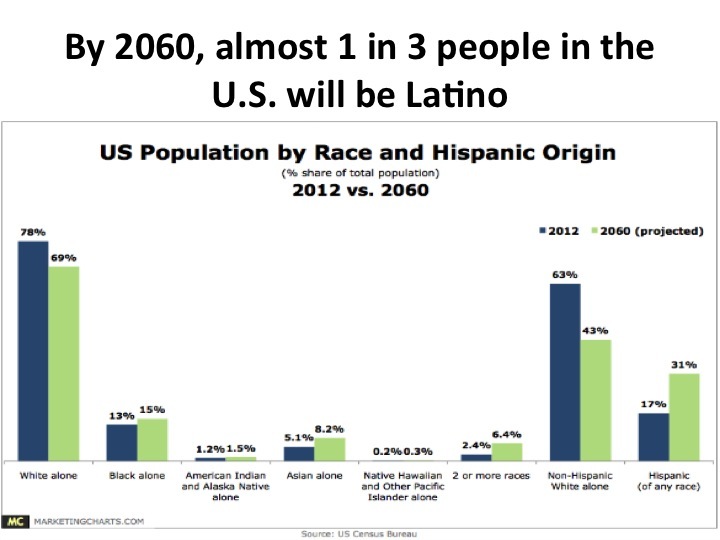 Latinos are projected to be the minority-majority around 2043, which is sooner than originally projected. Why are Latinos projected to grow so fast? Age plays a very large role: younger people providing the fastest growth to fertility and immigration. As a result, younger people will be filtering into the educational system and into community colleges more than ever as the population explodes into the future. 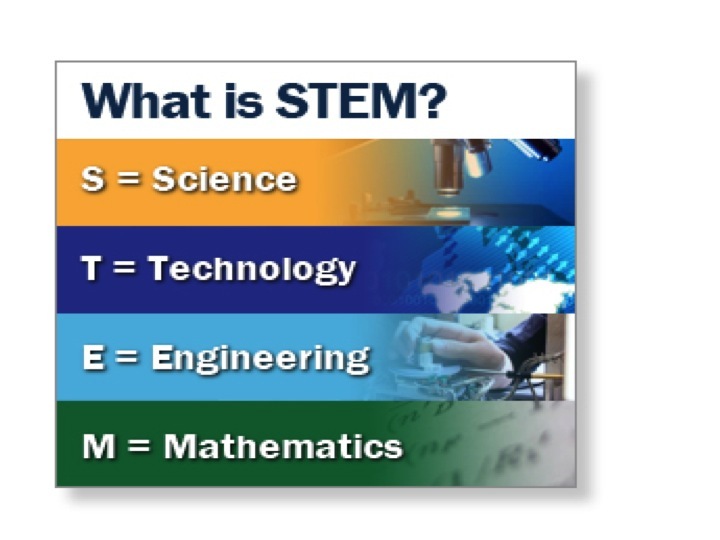 One of the greatest needs for challenges in the future lies in student involvement in STEM careers. 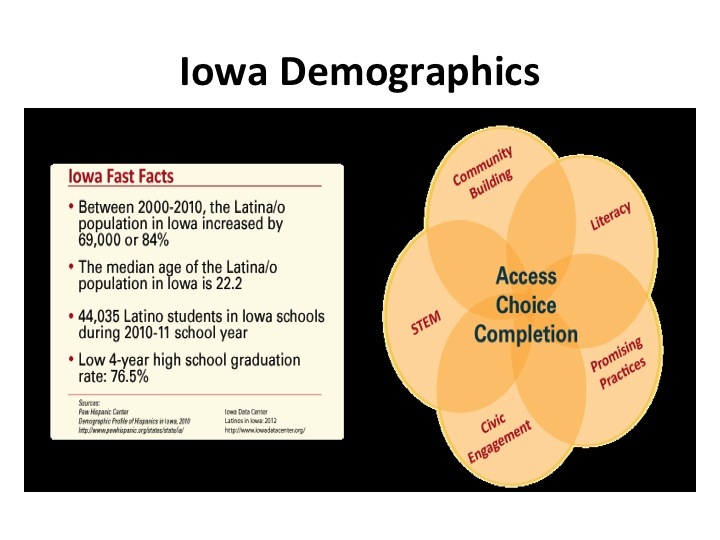 Looking at the demographics of Latinos, since they are projected to become the minority-majority in three decades, is important to be able to train future healthcare providers, scientists, and a strong labor force. Build community among students – help others out, tutoring, etc. What does the path look like for Latino students going to colleges? Maria Hinojosa on NPR (Latino USA) speaks to Richard Fry, Pew Research Hispanic Center, about the initial path Latinos face after high school. Click here to listen to the broadcast. He also talks about the Latino success rate at finishing college as well. 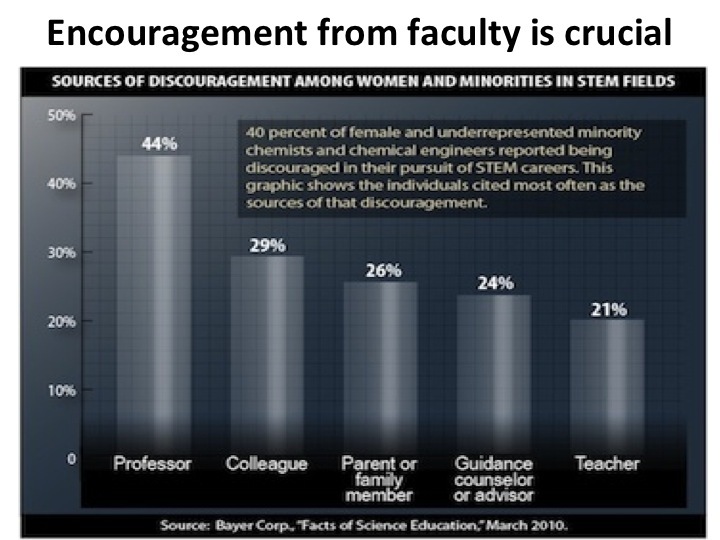 Statistics show these students do poorly, and even worse for STEM fields. 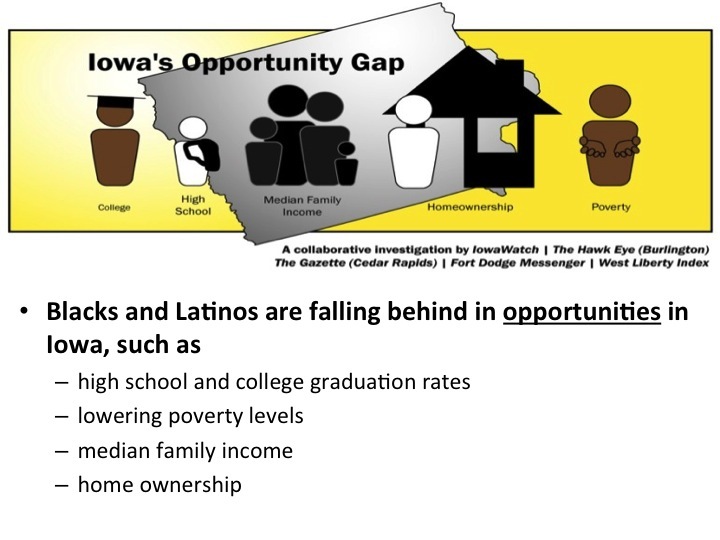 Iowa represents a challenge as Latinos not well represented among the population…yet. Already in 2013, Latinos have a higher concentration of preschoolers among the population than any other race or ethnic group. This will continue to rise as these children proceed through the educational system and go to college and universities. 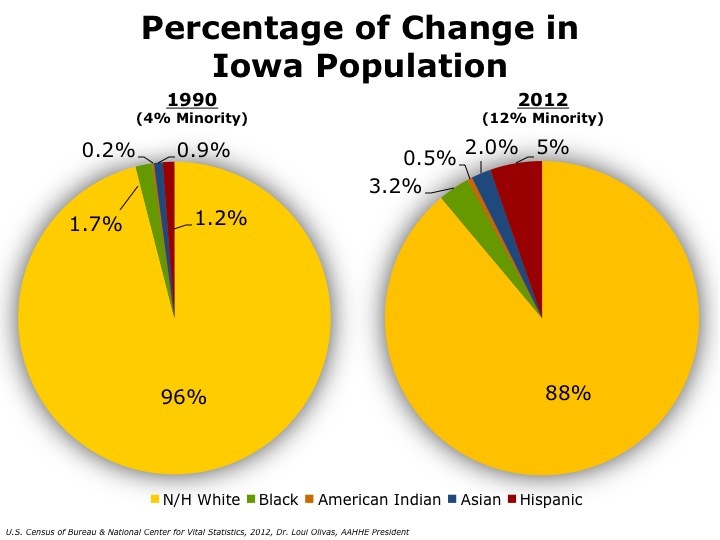 Why are minorities in Iowa falling behind? As these students progress in their education, the need for faculty to look like the population becomes increasingly important. Also important is to have faculty who feel welcome in these environments. 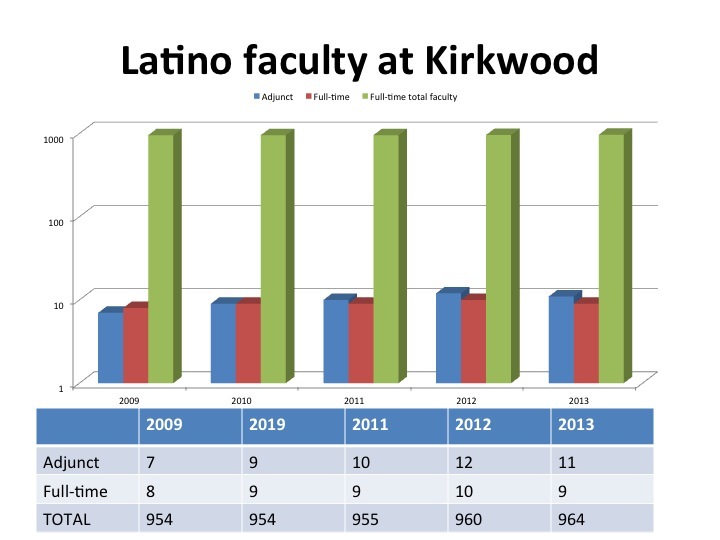 Recruitment is important but more emphasis is needed on retention of quality Latino faculty to serve these students. 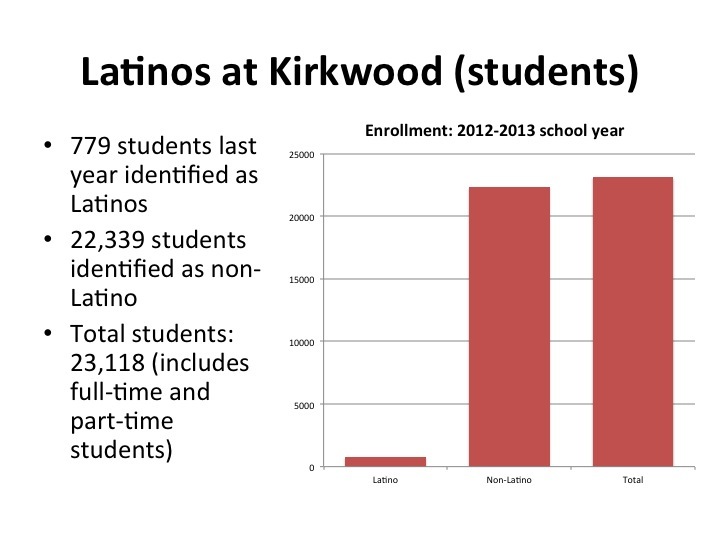 Why does this matter to Kirkwood? 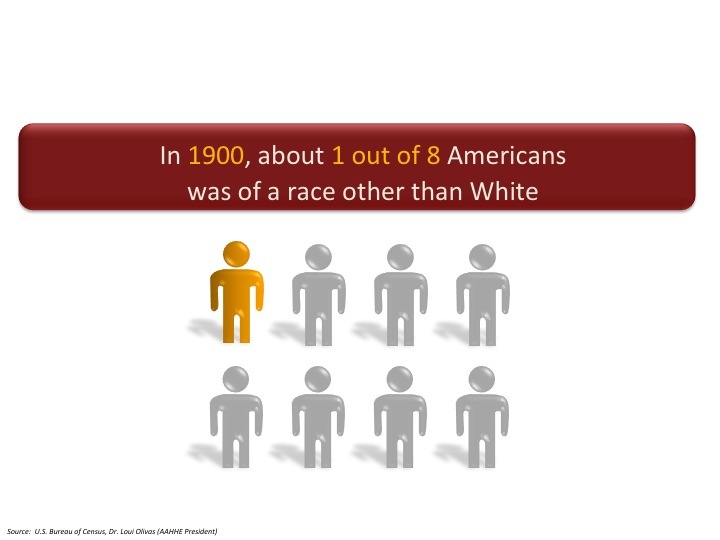 Earlier predictions stated that face of US population is changing. We’re already seeing it in preschoolers in Iowa. Thank you for sharing. This is such important and timely information. I look forward to how myself and other faculty can respond and be involved.